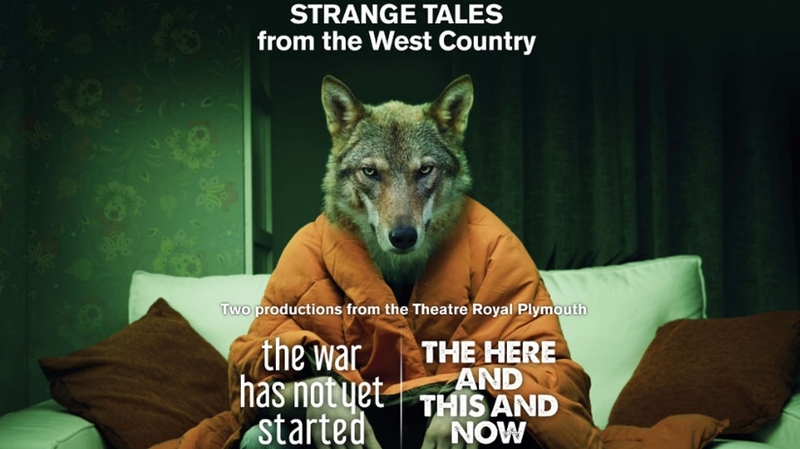 The Theatre Royal Plymouth is delighted to announce, Strange Tales (from the West Country), a mini-season of subversive visions celebrating originality, spirit and provocation in the modern world which will run in repertoire at Southwark Playhouse in early 2018. Following their UK premieres in The Drum, the Theatre’s internationally renowned space for new writing. Theatre Royal Plymouth will take over The Little at Southwark Playhouse with Glenn Waldron’s chilling, dystopian comedy The Here and This and Now, which will run alongside Mikhail Durnenkov’s thrillingly anarchic The War Has Not Yet Started. Simon Stokes directs Glenn Waldron’s dark and enigmatic comedy The Here and This and Now at Southwark Playhouse, which takes an intriguing and intelligent look at the medical industry and asks in these politically uncertain times, how high is the price of progress? Full cast for The Here and This and Now will be announced shortly. Gordon Anderson directs Mikhail Durnenkov’s provocative The War Has Not Yet Started, a surreal and at times unsettling comedy about everyday people fighting everyday wars. In twelve twisted parables for the modern age, Durnenkov taps into the fears and strangeness of our daily lives – sexual gamesmanship; what to do with ageing parents, those lying politicians, tensions at the airport, those lying journalists, infidelity and the absurdity implant. Things happen but no one can see the connections in The War Has Not Yet Started, a strangely, prophetic study of our collective unease about living in the modern world. Russian playwright, Mikhail Durnenkov is a major stage, screen and television talent living in Moscow. His plays have been translated and staged all over the world and his play The Drunks, written with his brother, was produced by the Royal Shakespeare Company in 2009. Durnenkov is artistic director of the well-established young-playwrights festival Lubimovka. Gordon Anderson is an award-winning television and theatre director. He was Artistic Director of ATC from 2001 to 2006, where he commissioned, produced and directed new and international work that toured extensively throughout the UK. He co-founded the League of Gentlemen comedy group, directing their earliest live performances. His television comedy includes the highly acclaimed Lovesick, The Inbetweeners, Fresh Meat, Shameless, The Catherine Tate Show, Rotters, which was part of Sky Arts Physical Comedy Season, Hoff the Record, starring David Hasselhoff .